Like foods and fluids, your own body has a pH level, and it's actually rather specific. The acceptable range for your pH is between 7.1 and 7.5, according to Alkalize for Health. Anything above this range is considered alkaline, while scores below the range indicate acidity. 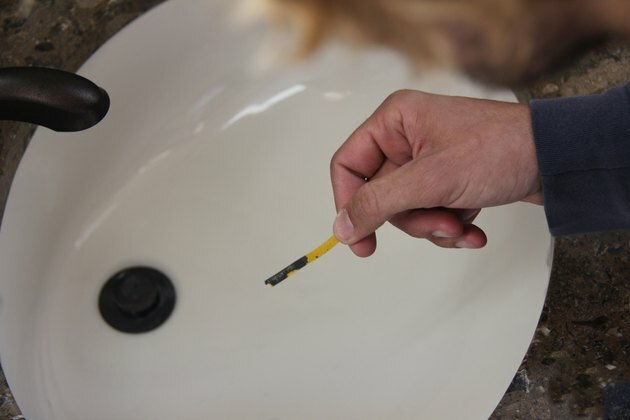 You can use any of your bodily fluids to test pH, but the best option is your saliva because it is the most consistent, notes Alkalize for Health. Swallow your spit. Wait until saliva accumulates in your mouth again, and spit a second time. This ensures that the saliva you test is freshly produced rather than saliva whose acidity has changed with exposure to elements. Spit onto the colored end of a litmus paper, and wait for the color to change. The color will correspond to a pH score. 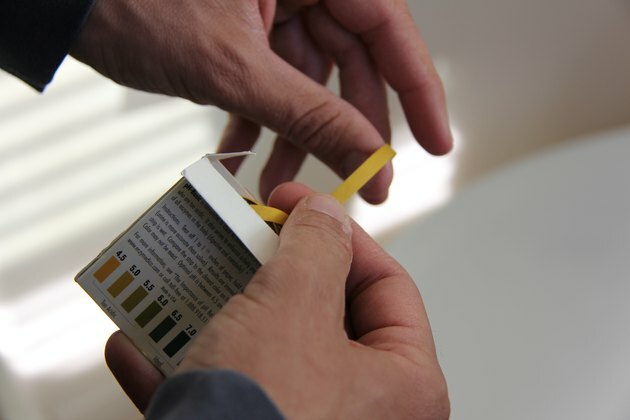 Determine what your score is using the color key that came with your litmus paper. 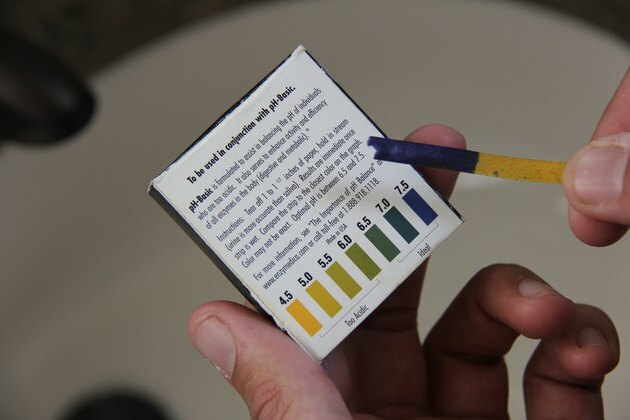 If the color turns blue, this indicates a score of 7.4, which is exactly where your pH level should be. If it is a color other than blue, use the key to find your score. Wait at least two hours after your last meal to perform this test. This ensures that no leftover food particles or fluids are present to influence your pH scores. Scores can be influenced by various factors. According to Alkalize for Health, young children frequently register pH scores of 7.5 and above, while elderly individuals often score around 6.5 due to calcium deficiencies. Cancer patients have been known to score 4.5 or lower, particularly when their cancer is terminal.